Texting While Driving: Unsafe at Any Speed? Big headlines today state the obvious: Texting while driving is dangerous, practically everyone knows it, and a lot of people do it anyway. That’s the widely reported finding of a new AT&T survey about texting while driving: More than 98 percent of adult drivers know it’s unsafe, but almost half of them admitted to doing it anyway. Some drivers may try to rationalize that they put the phone away under tough driving conditions, when the road truly demands their full attention – complex traffic patterns, winding or slippery roads, highway speeds – but is that enough to reduce the danger? A recent Drexel University study suggests that even under the simplest driving conditions, texting is still unsafe. 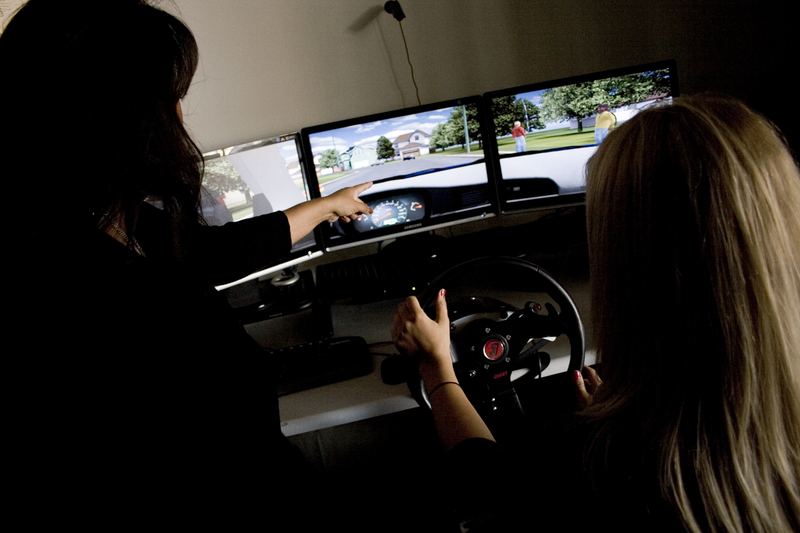 The study, led by psychology graduate student Joshua McKeever and co-authored with his advisor, Dr. Maria Schultheis, an associate professor, used a virtual reality driving simulation setup to test driving behavior under controlled conditions. After some practice driving and a baseline drive, they were asked to perform “distraction” tasks along the way, either texting or tuning the car radio. Even under the simple simulated driving conditions, performing a task such as texting while driving was associated with greater lane deviation – a danger sign of driver distraction. Plus, the texting tasks took drivers almost twice as long to complete compared to the radio tuning task — meaning drivers who are texting are distracted for a longer time. The study was small, but Schultheis pointed out that they found interesting differences in the type of phones participants used, too. (All participants used their own cell phones in the experiment.) The texting task took longer on touchscreen phones than on some other types of phones – again extending the duration of time over which drivers are distracted. What happens if people continue texting while driving despite known risks, as touchscreen phones become more and more popular? Like driving under the influence of alcohol, education and pleas failed, but enforcement has worked. 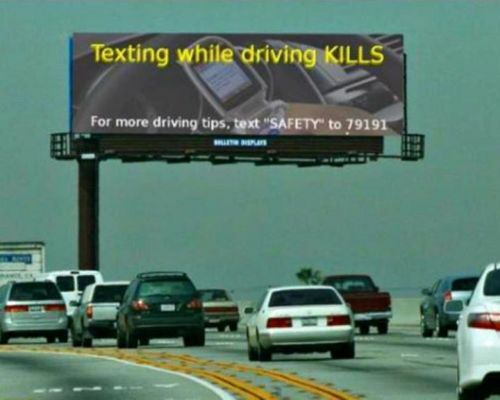 Texting while driving is a larger day-to-day risk to life than terrorism and gun violence combined. The enforcement of the laws, and application of penalties, are both needed. Law enforcement and penalties are sometimes just not enough. The authorities should also accompany it with education increasing the awareness of every driver with the dangers of distracted driving. It’s surprising that adults are already aware but tends to do it anyway.